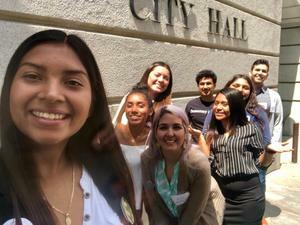 Five RISE students present their learning at Los Angeles City Hall. 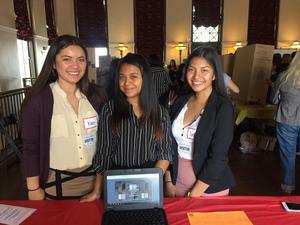 They were able to present to students from all over Los Angeles. Five RISE Students had the opportunity to share their learning on April 24th at Los Angeles City Hall. Way at the top, in the beautiful Bradley Room, they shared their learning about the atomic bomb and how it connects to present day. They spoke to students from all over Los Angeles, politicians, and professionals. They educated individuals using multiple forms of writing styles - narrative, argumentative, and informative.